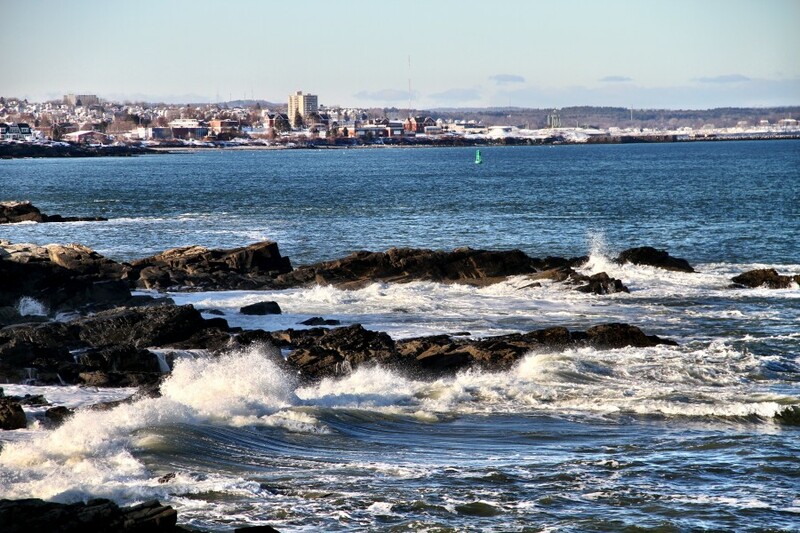 A few days after Christmas, I took a drive to Maine to visit another New England State. The ride is about nine hours from DC, a manageable journey when shared with a pleasant companion. As a child my family went camping in Maine a few summers, but honestly I don't remember much about it. As a kid, I suppose I was more concerned with playing with my younger sister in the sand than taking in the beautiful scenery. Here's a nice lighthouse - shame on me I don't remember the name! 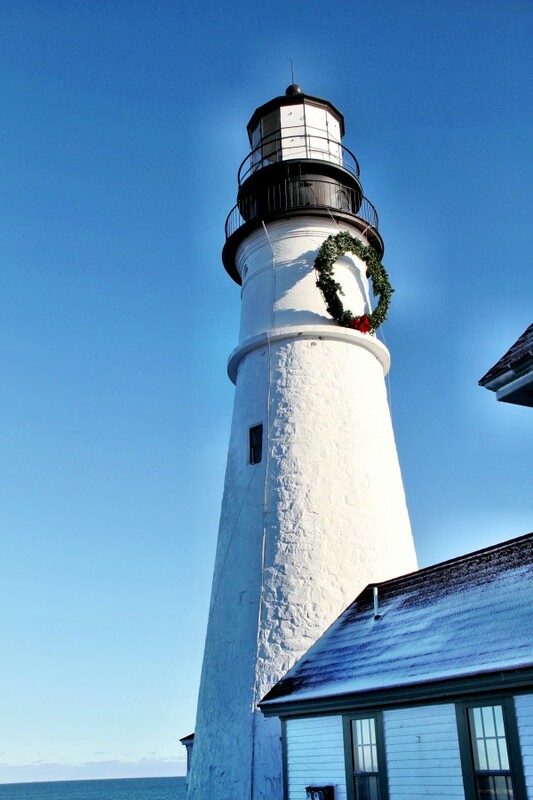 Maine is known for these fixtures and over sixty lighthouses grace its captivating and rocky coastline. 1. Another view of the lighthouse. 2. This one I remember! Known as Cape Neddick or "Nubble" Lighthouse. No picture can capture the true beauty of this place. Water, rocks, magic everywhere. 3. Coastal views from same lighthouse. Very cold and windy during the visit, creating picturesque waves. 4. I think I've mentioned before that all U.S. States have slogans. In my home State of Virginia, we use "Virginia is for Lovers" or "Live Passionately." Not so bad! In Maine, one of the slogans is "Vacationland." However, most vacationers come in the summer to enjoy all of the quaint beach towns and beaches. 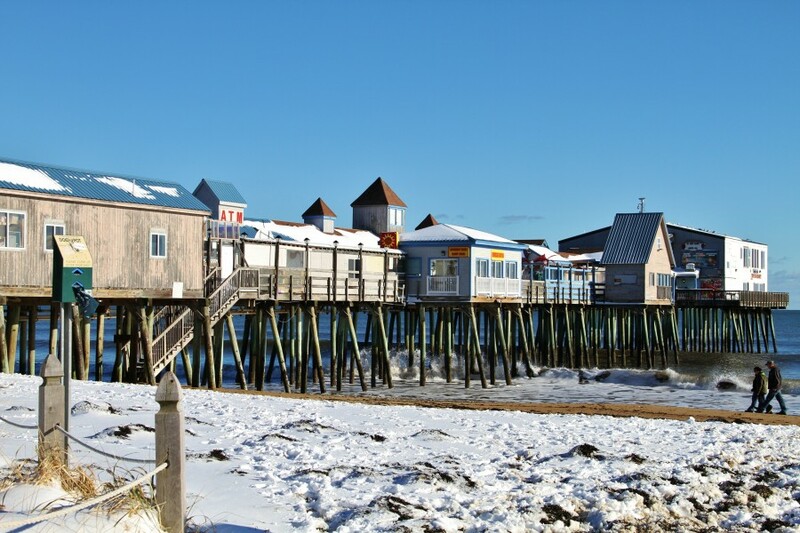 This shot was taken at Old Orchard Beach, located in York County Maine. Again, my parents tell me I was here running on the beaches as a kid but I simply have no recollection of it. I guess old age does that to you. Barely anyone in these areas in the dead of winter, but a few people brave enough to walk the beach in frigid temperatures. 5. The day before our arrival over a foot of snow fell. So happy to see all of this white stuff everywhere! 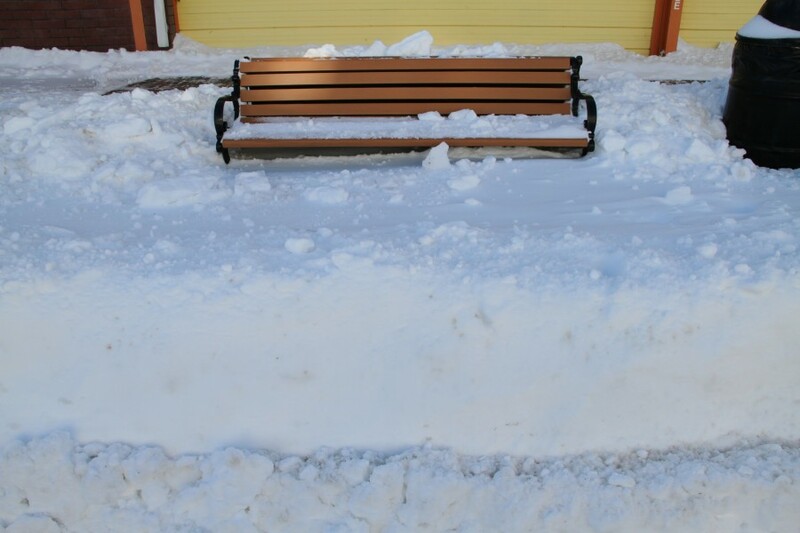 In summertime, I'm sure there's a fight to find a place on one of these benches to relax. On this day it would have required acrobatic skills to even reach it! 6. 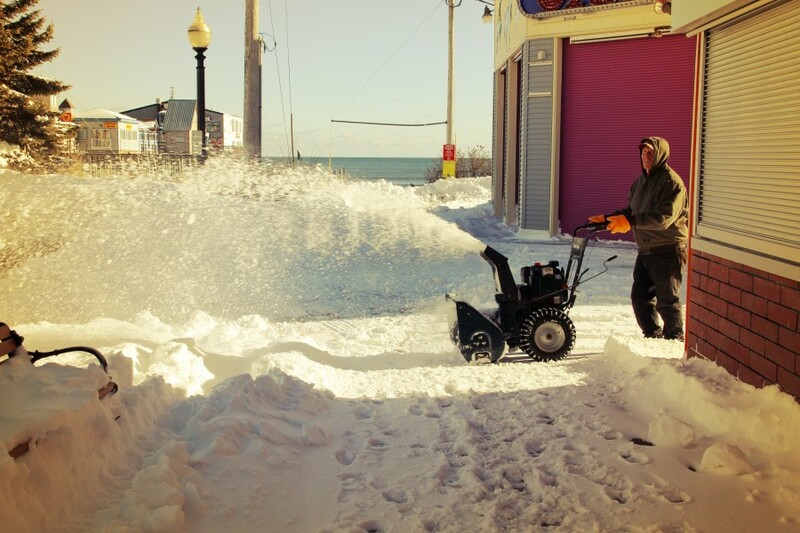 Even though there are few winter tourists in this beach town, locals still work hard to keep the pathways and areas clean for the few pedestrians brave enough to fight the cold. This old man very flirty and funny, playing a game with me as I tried to walk past. "Avoid the blowing snow" he said. Taunting me with his machine. 7. Any beach area in the States will have piers and amusement parks. 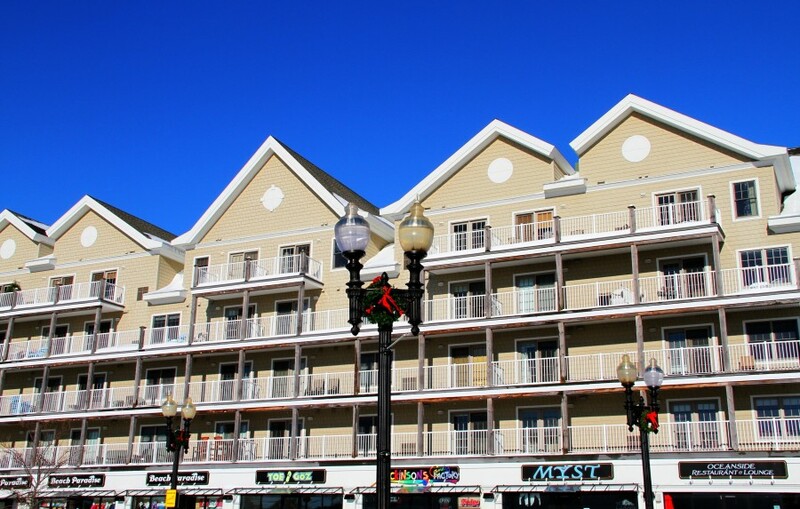 Old Orchard Beach is no exception. 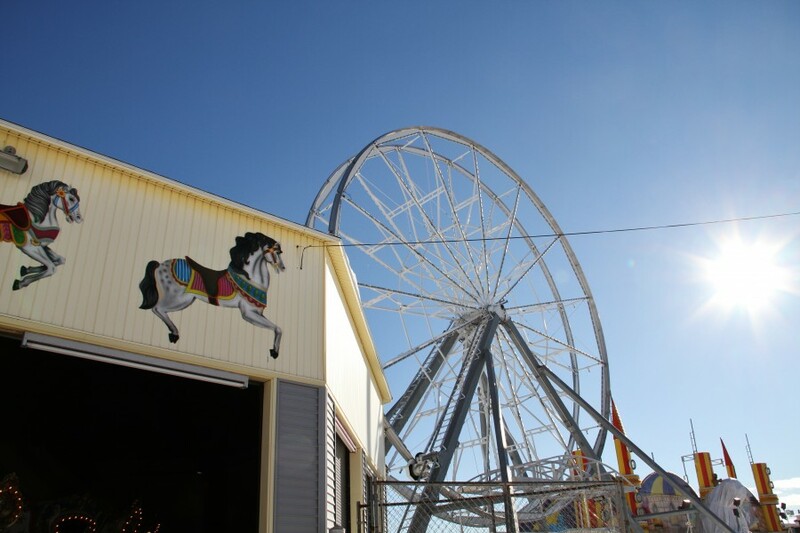 All rides shut down for winter. I don't know why as I would be happy to ride the carousel even in the cold. 8. My favorite part of any amusement park will always be the ferris wheel. My Russian friend informs me they are called "devil's wheels" there. I don't understand the negative reference as they are very sweet and romantic to me. I search them out in every city I visit and always try to ride. 9. Hotel or condos right on the beach, with local shops underneath. "The Way Life Should Be" - another official slogan of Maine and I concur. It's full of beautiful scenery and natural landscapes, a slower pace of life and charming small towns. A common pattern for all of the New England States I've visited in the past few months and the reason why this area is now my favorite of all the places I've traveled in the U.S.
Next time I will tell you about New Hampshire. I absolutely love the shiny sky and the sun on these photos. This is something we miss a lot in winter in Moscow. Today the sun barely shone for ten minutes in the middle of the day and even this glimpse was a joy. I heard of New England and of Maine in particular that it is a place that is best visited in autumn when the leaves turn yellow and red and the hills have a spectacular foliage. But during my very few travels to the US I never had a chance to visit it anyway. Then, nine hours in a car seems to be a very tiresome journey to me. A reference to a ferris wheel as a 'devil's whell' used to be true in Russia. But to me this name is apparently a thing from the past and is going down. People around me tend to call it simply an 'outlook wheel'. Moscow has a big one at VDNKh, but it does not operate in winter just like the one in Maine. Hi! Thanks for taking the time to read. You're correct that New England is the prime spot for viewing fall foliage in the States. In fact, I tried to take a trip to Vermont in late autumn but all hotels and bed and breakfasts were full. You have to book way in advance during this time. So, I went to Vermont in mid-November when most of the trees were barren. You can view my Vermont post here - http://peacetraveler22.livejournal.com/6269.html. 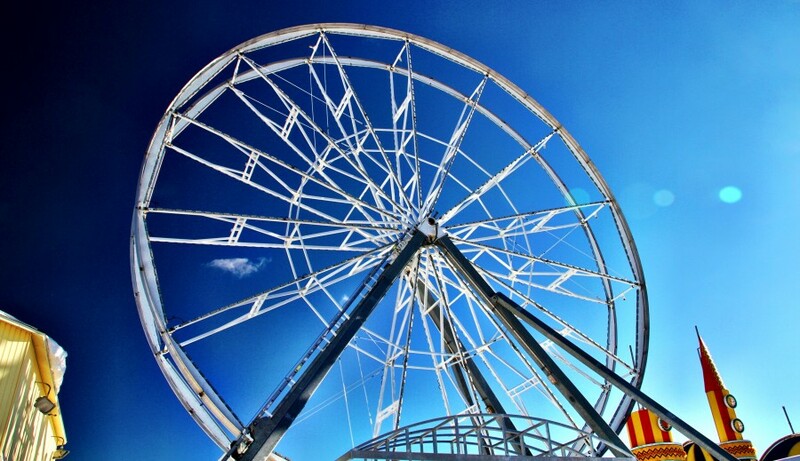 I also not heard that the Ferris wheel in Russia called devil's wheel. In my opinion this is name comes from Europe or the U.S.
Maybe my guest was misinformed, or it's an old term that young people like yourself haven't heard. I've never heard it called a "devil's wheel" in the States. It's a pity the ones in Moscow will be closed when I visit! круто, спасибо! :) I think I will be in Moscow near the end of February. пожалуйста! 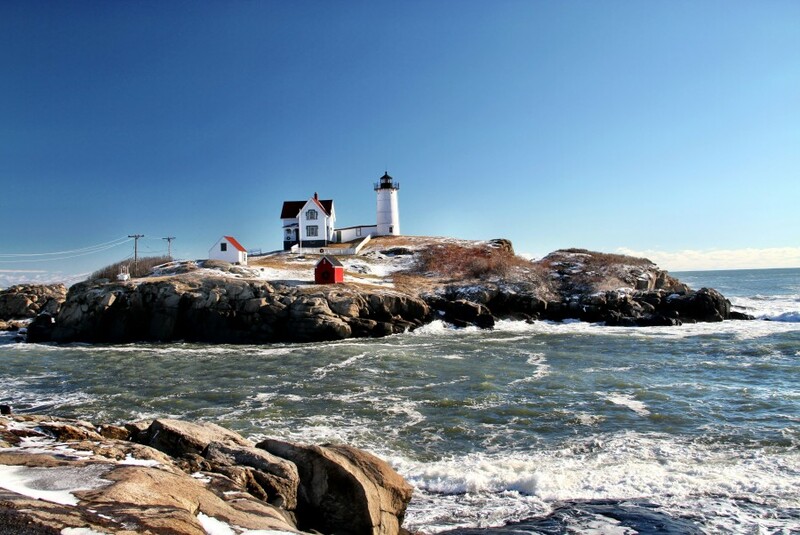 Be sure to visit New England next time you're on the East Coast of the U.S. Awesome! :) If you and your family pass through DC be sure to write and we can meet for lunch, or given that it's summertime, ice-cream. Next week I'm in a business trip:(. Which days you will be in Moscow ? If you have time and fun, you can also send me a message. I should be in Moscow around this date. Right now it's above zero, but the temperature is going down below zero tonight. Consequently, it will be icy and slippery in the following days. Very nice! The first photo looks like a backdrop for the movie. Thanks! 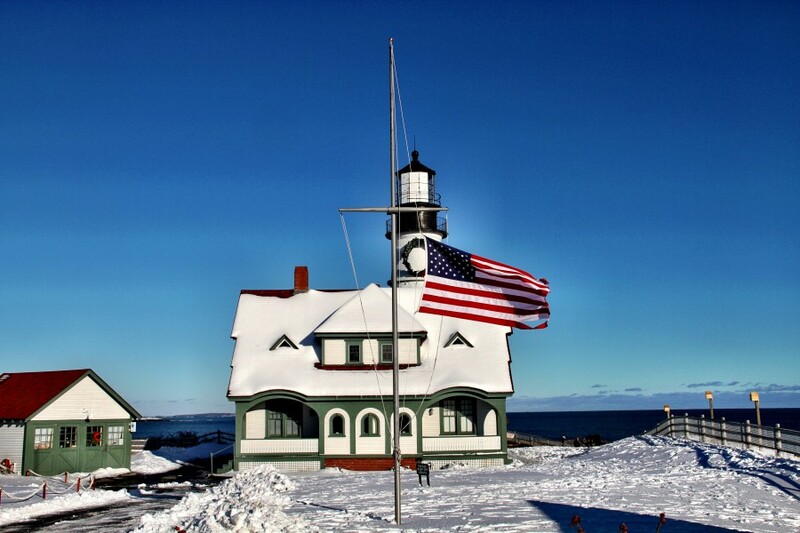 Maine is a really beautiful State and in winter time very cold. Hurray, at last you showed us an American winter!!! The sceneries are beautiful especially the second one! In comparison with Russia you have non-freezing ocean in winters, I was very pleased to look at it on your photos. And I like to look at tourist places in low season, when there are no tourists and all is quite and clean. That is why I liked your post very much! PS The sky on the two last photos is incredibly blue, especially on 8th! Didn't you process it with some tools to get such a bright sky on the right and such a dark on the left?